Microblading is a manual "hand" method of permanent cosmetics for your eyebrows which creates extremely fine natural looking hair strokes. The results? Perfectly natural looking, thick, full brows. 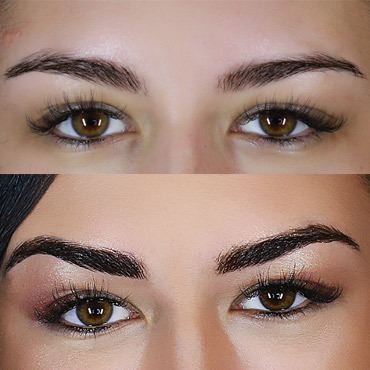 3d eyebrow embroidery lasts a year or more, but depending on skin type and lifestyle, touch-ups may be required starting from the 6-month mark. We practice the philosophy of natural aesthetics: that a brow should look fitting on a natural, bare face. This means we will always stay on the side of being conservative because the outcome is unpredictable case-by- case. We can always add on in a follow-up session. This semi permanent eyebrow tattoo or makeup can be a little uncomfortable for those who are more sensitive. However, there is an anesthetic applied during to keep this to a minimum to where it is completely painless.  Someone with large pores on their forehead. Is there anything I need to do to prepare for my service? • No chemical peels, dermabrasion, laser or any other intense treatments 2 weeks before treatment.  Increased sweating. It is recommended not to sweat (heavily) for the first 10 days after the procedure. Sweat is salt and can prematurely fade the treated area.  Absolutely no sun, sweating, or tanning prior to the procedure or after the procedure for 10 days. Do not have a tan/sunburn on your face prior to the procedure. The tan will exfoliate taking color with it as it fades. 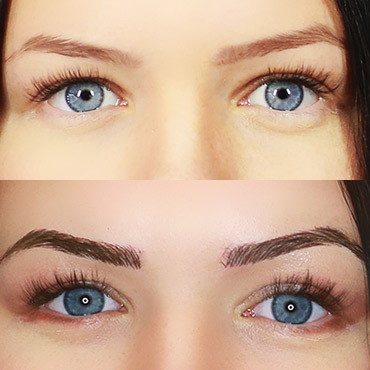 So if you are looking for microblading in Florida for reasonable cost you`ve found the right place! 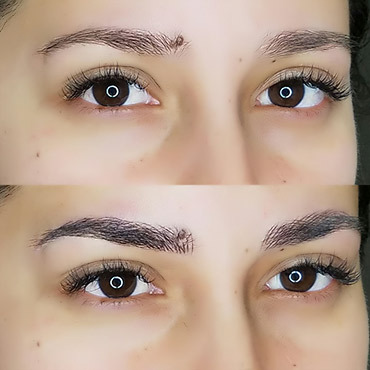 Amazing with microblading! Can't wait to go back for extensions. She is so sweet and talented!! They are painless and awesome! Definitely recommend!! An amazing experience! Very relaxing atmosphere and good conversation. She gave me exactly what I was wanting. Loving my eyelashes.